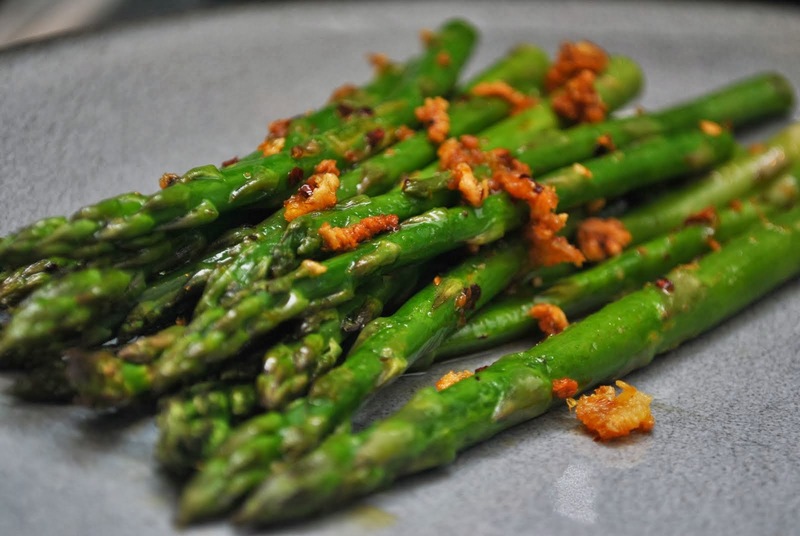 Roasting preserves the flavor and color of asparagus without making it tough or stringy. 1. Preheat oven to 500 degrees. Rinse asparagus and break off tough ends. 2. In shallow roasting pan, place asparagus and coat with oil. Sprinkle with garlic and salt and pepper, to taste. 3. Roast uncovered for 6-8 minutes (depending on width of spears), shaking pan occasionally.